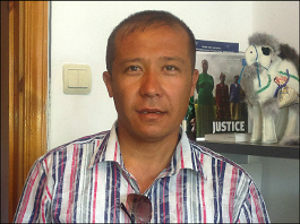 When Uzbekistan has finally released well-known politician Murad Jurayev, who spent 21 years behind bars, very few naively thought the move was an indication of the Islam Karimov regime’s weakening after a quarter-century state-sponsored elimination of its critics and opponents. Only several days later following the joyful event of Mr Jurayev’s freedom, yet another sad event occurred: human rights advocate Uktam Pardayev has been arrested in Jizzakh. The defender of human rights faces the traditional accusations of “extortion” and “fraud”. But what has this man actually done to cause ire of the Uzbek authorities? Mr Pardayev’s activities over the last decade have been putting the Uzbek authorities in a very discomforting situation. While the latter no longer use public violence as explicitly as before, they nonetheless continue employing other efficient, “legal” means of dealing with the “rogue” activist. For instance, in November 2011, Mr Pardayev was found guilty based on Article 41 of the Administrative Code of Uzbekistan (“Insulting”) and ruled to pay a fine of 1m soums (about USD500 at the official exchange rate at the time). Then in October 2012, Mr Pardayev was convicted to serve a 15-day detention based on Article 183 (“Minor hooliganism”) and Article 195 (“Resisting lawful demands of police officers”). Then in January 2013, the Jizzakh City Court imposed a 125,840 soum fine on Mr Pardayev, having found him guilty based on Article 52 (“Inflicting bodily injury”). All administrative cases against Mr Pardayev, in his own words, were trumped-up by a number police officers and city administration officials. Pressure on the rights advocate has been increasing since January 2015. Mr Pardayev has repeatedly told his colleagues both in Uzbekistan and abroad that his life is in grave danger. According to Mr Pardayev, power-wielders were detaining those citizens, who sought his legal assistance, forcing them to testify against the very person who defended their rights. Mr Pardayev voiced the findings of the monitoring of forced labour several times during interviews with Ozodlik Radio (the Uzbek-language service of RFE/RL). The facts of slavery to cotton, collected by the rights advocate, unequivocally testify to the fact that the Uzbek government undoubtedly failed to meet the requirements to prevent forced labour, which it assumed as a signatory to many international pacts. Mr Pardayev’s house was searched on November 16: documents, a personal computer, a photo camera and several other properties belonging to the rights advocate were seized, while he was taken to the Dustlik District Police Directorate of Jizzakh Region. Dilmurod Ahmedov, Mr Pardayev’s lawyer, was only allowed access to his client four days after his detention on November 20, says Surat Ikramov, head of the Initiative Group of Independent Human Rights Advocates of Uzbekistan (IGIHRAU). Mr Ikramov was able to learn the cause and basis for charges pressed against Mr Pardayev. As it appears, Uzbek power-wielders traditionally do not turn shun from any means, chasing the goal of throwing the vocal critic behind bars at all costs. 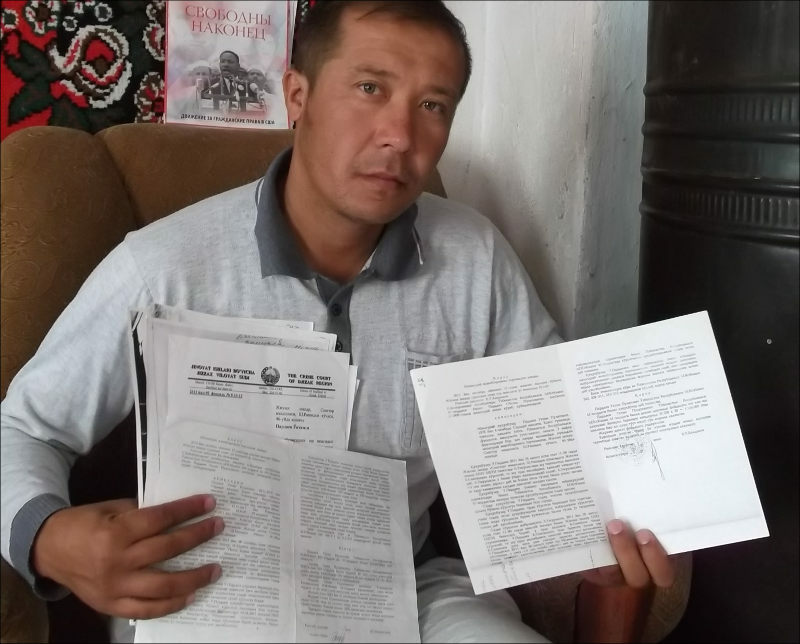 Forging investigation documents, forcing “testimonies” on witnesses, and openly planting “evidence” are just a few traditional methods of operations the Uzbek police employ. According to information Fergana obtained, Mr Pardayev’s arrest might have been motivated by other causes in addition to monitoring of cotton fields. Since early September up to his arrest, Mr Pardayev was also dealing with a case of a group of missing young men, who lived in Pakhtakhor District of Jizzakh Region. The young men were missing for 40 days. Eyewitnesses later emerged and alleged a vehicle said young men were in was forced into a road shoulder by unidentified, masked men. They pulled the young men out of the vehicle, placed bags on their heads and took them away, and burnt the vehicle in question down. The relatives of the young people were able to locate their whereabouts some time later—they were thrown into a pre-trial detention facility and had traces of horrendous torture and violent beatings. It is nothing new in Uzbekistan when any person is apprehended to be charged with Wahhabism, jihadism, extremism, and even attempts to overthrow the state. Hundreds and thousands citizens have been convicted based on “standard charges” over the last several months; lately, the power-wielding bodies are also using the “vogue” charge of conspiring with or assisting the so-called Islamic State. The authorities’ logic seems apparent and understandable. To meet the requirement of catching “religious extremists,” they need to find an innocent person, given the complete absence of genuinely guilty ones, trump-up a criminal investigation and “uncover the conspiracy.” However, there is one fine detail: the mouth of this persistent human rights activist must be shut tight, because he could blurt out something inappropriate in the most inopportune moment—something about tortures in police dungeons or lack of consistency in “eyewitness” testimonies. Uktam Pardayev turned out to be just such unwanted and detrimental rights activist. Uktam Pardayev is currently under a real criminal charge and subsequent imprisonment. Only Front Line Defenders and Amnesty International have voiced their support with Amnesty launching a campaign of urgent help to support the rights advocate in trouble.